I hear that even in winter we should take yogurt.There is nothing more satisfying than some morumchorum. What pickle is that on top Julie? Adding cashews to Curd rice.. Perfect! Wish I can dig in!! Our lunch today...!! Best food always! I thought it was a sweet recipe. The mixture of ingredients is fantastic. Good weekend. 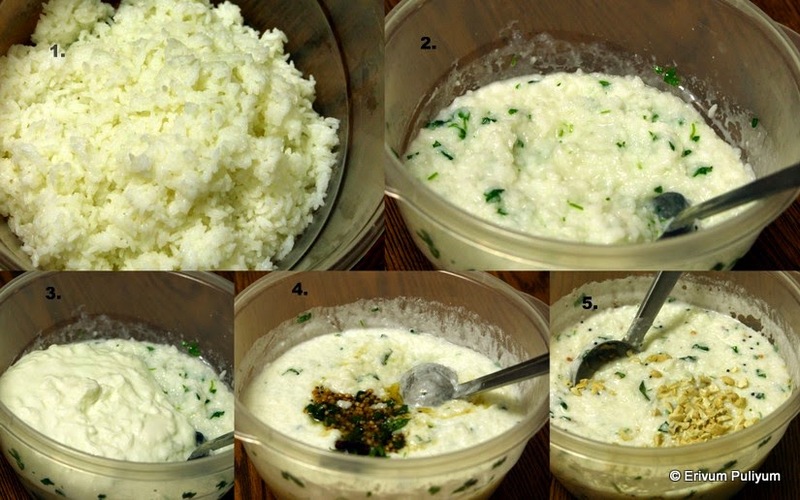 Nicely done..Curd Rice looks so yummy n inviting! love this creamy cold spiced rice.